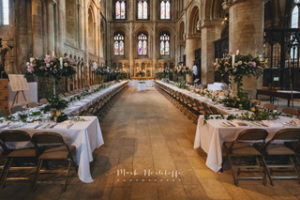 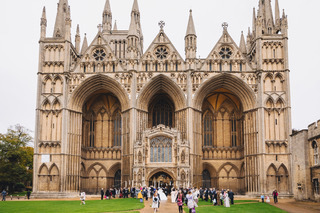 It was an Autumnal October Wedding at the beautiful Cathedral in Peterborough. 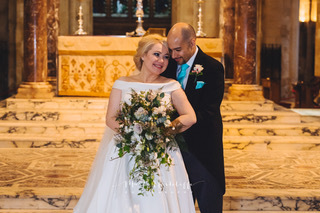 I had to post some pictures of their wedding day as it was stunning. They live nearby so they had the privilege of being allowed to get married here and have the reception. They had large candelabras with gorgeous roses and stargazer Lillie’s. 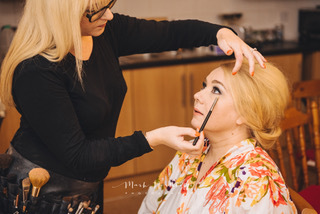 Charlotte wanted smokey eyes to go with her classic hair up do for a very glamorous look.